The rent of any apartment depends on various factors, including location, facilities, security and many other things. If you are looking for a room in New York, it will cost you around $1000 to $1500 and if you move to south, the same room will cost you around $800 to $1000. 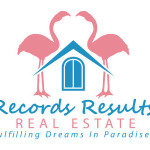 I have been working in Florida real estate for last 26 years, I can help you in finding the room of your choice in Florida. Visit www.recordsresultsrealestate.com/ to contact me.